The health system is very efficient in Luxembourg. According to the World Health Organisation (WHO), Luxembourg ranks among the countries with the highest health expenditure. In 2014, 6.9% of GDP was spent on health, it means more than $6,800 per capita per year. This probably explains the life expectancy of Luxembourg residents, which is among the highest in Europe: 86 years for women and 81 years for men according to the latest study published by the World Health Organisation in 2018. In Luxembourg, to claim a refund of medical costs, those must be beforehand registered with the CCSS (Common Centre for Social Security). The statement with the CCSS must in principle be made by the employer for the employee. 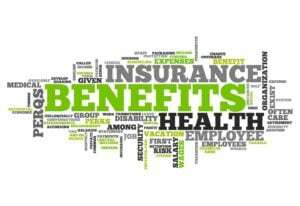 The CCSS takes then care of the membership of the person with the competent health insurance fund. The insurance contributions will then be deducted directly from the gross salary by the employer. Find out more about gross/net salaries and calculate your net salary. The spouse or the partner (if they are not insured themselves) and the children are automatically insured with the main insurance holder and are called “co-insured”. Watch out, the CCSS has to receive all the necessary documents during the membership of the main insured (wedding contract, family book, etc.). You can also pass on your information via the CNS website. For the self-employed people, this membership can be subscribed via MyGuichet. Border workers must choose an insurance fund in their country of residence. Registration is carried out via the international registration form issued by the CNS. For residents of departments 54 and 57 in France, this registration is directly made with the CPAM. The affiliation of co-insured persons (family members) is determined by the legislation of the country of residence. The CNS concerns the insured of the private sector. Click here to know the modalities of refund by the CNS. The CMFEP is the health insurance fund for state employees and public employees. After having subscribed with your health care insurance fund, you receive a national insurance card with your name, first name and your 13-figure number. This card allows to establish that you are affiliated to the health insurance. Its aim is to identify you in the Grand Duchy of Luxembourg with the institutions of Social Security and the persons providing care (doctors, hospitals, pharmacists, etc.). You can request an European insurance card. This European card presents 2 sides: one side for Luxembourg, and a second one that is valid in the European Union countries and in the European Economic Area. The European side allows to send you directly to the subsidised care services providers in the European Union countries and the European Economic Area if health and medical care become necessary during a temporary stay in another member State. It also allows the delivery of services according to the legislation and according to the modalities of the country where you are temporarily staying, the claim for refund to the country of stay according to the legislation in effect or in Luxembourg according to the Luxembourg prices. The European health insurance card contains an expiry date and is renewed on request via this link. Download the application “European Card of health insurance” on your smartphone. The European Commission has just taken out an App resuming in particular the instructions for use of the European health insurance card in the 28 EU member States, as well as in Iceland, in Liechtenstein, in Norway and in Switzerland. You will find general information about the card, the emergency phone numbers, the treatments and the covered costs, the procedure to be followed in order to obtain a refund and the service to be contacted in case you have lost your card. The App is available in 25 languages, with the possibility of easily switch languages. For all your questions concerning the social security institutions in Luxembourg (health, accident, pension, dependence insurance, family benefits) consult the Luxembourg governmental www.secu.lu website. Beyond the public health care insurance funds, the additional health care insurances which you can subscribe allow to complete the refunds stemming from health care funds. Not compulsory, these additional health care insurances can pay off up to 100% on certain medical services.